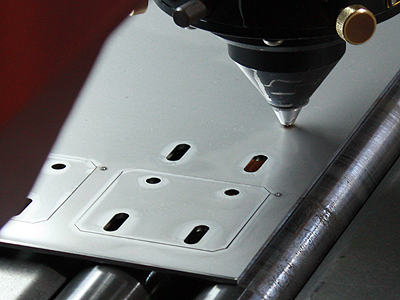 Our advanced welding techniques and our own die-less forming technology provide highly precise sheet metal processing. 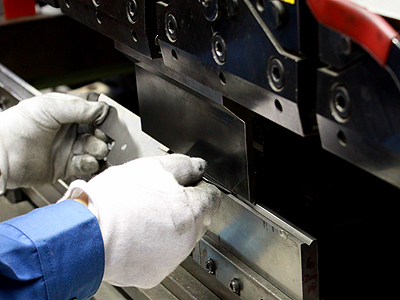 NISHIYAMA PRECISION SHEET METAL has provided various processing methods such as bending, welding, tapping /reaming, deburring, assembling, and die-less forming. By referring to our long period of technical know-how and our accurate processing technology, we ensure that we can respond to all of your requests. We are delighted to announce that our experts in NISHIYAMA PRECISION SHEET METAL can offer high quality welding consistently. We ensure that we can respond any kinds of difficult requests and complicated forms. 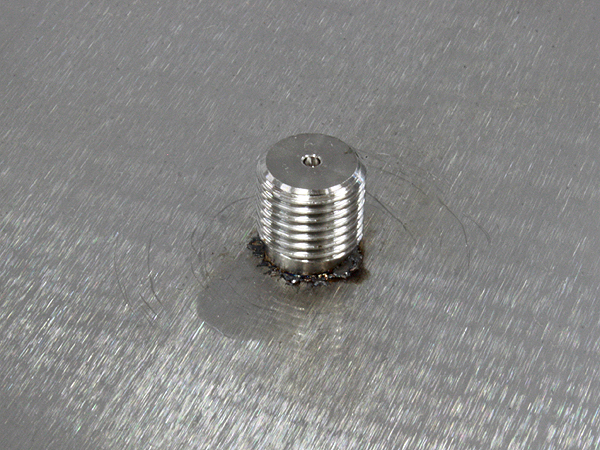 High processing technology brings up to fine weld bead. 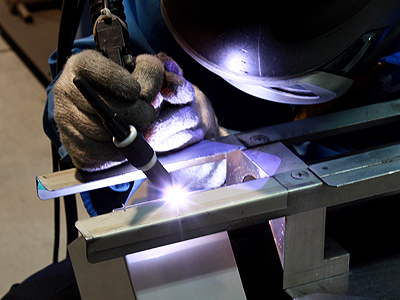 High quality welding technology enables complex welding! 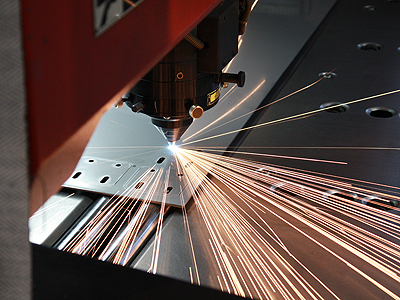 We are proud in offering the highest welding technology because we have experienced and skilled experts within NISHIYAMA PRECISION SHEET METAL. We thus can achieve more complex and particular processing. 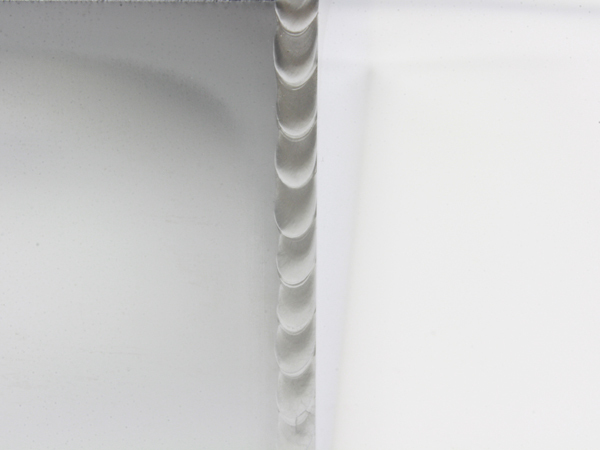 For instance, we finish up with the clean welding for a curved surface shown in the left photo. 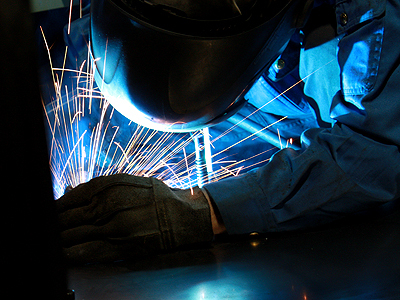 If you have requirements for complex welding, we are the one for you. 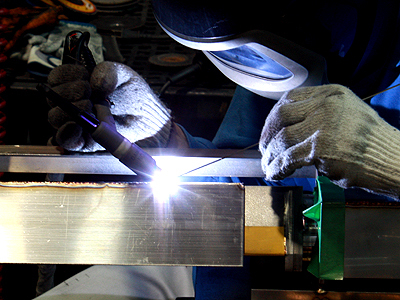 MIG Welding Common welding method, but needs high technical capabilities. MAG Welding Common welding method, but needs high technical capabilities. 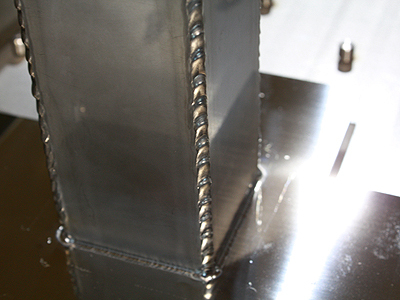 TIG Welding Common welding method, but needs high technical capabilities. 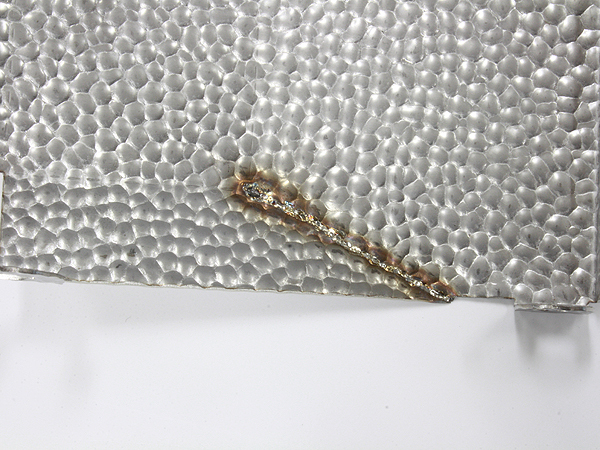 Spot Welding To melt metal down and join by resistance heat. Brazing To melt and mold wax to hold parts mutually. Please tell us what parts you need if you don’t find it in the list. We are confidant and more than happy to respond to your request. “Die -less forming” is the processing method without “die” as its name shows. It can provide a wide range of processing with reduced cost and quick delivery. Various kinds of processing made possible without dies. 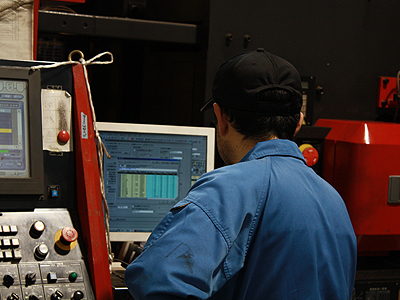 NISHIYAMA PRECISION SHEET METAL has adopted NC Turret Punching and Laser Punching for blanking. 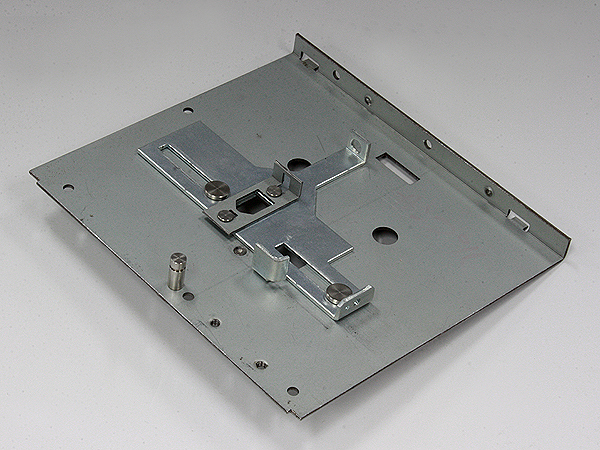 We can handle various types of precision sheet metal parts and products due to our capabilities in handing very complex blanking. Our Turret Punching performs blanking process with AMADA EMZ-3510NTP ASR48NT to prevent scrap-rising by using an air jet vacuum. We use fine contouring process to finish with superior quality and to manufacture various unique forms. 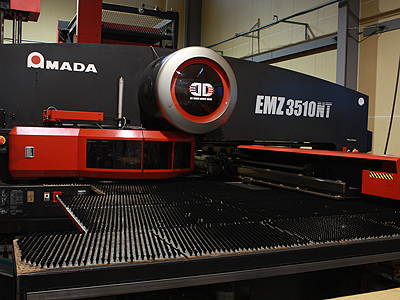 AMADA EMZ-3510NTP ASR48NT executes blanking process applying less scrap-rising, fine contouring, high speed deburring, slotting, high speed forming, flat forming, safety / inch bending, and high speed marking. 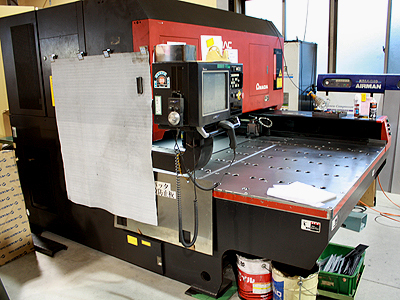 We conduct laser punching process using AMADA LC-1212αⅢ for handling long or complex products. 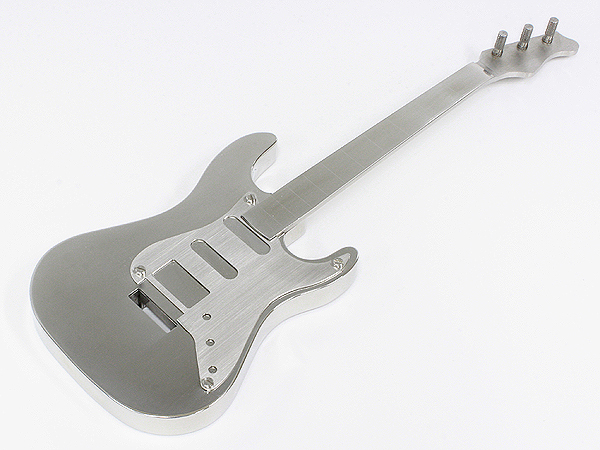 Laser machining can approach complex forms or materials difficult to work with. 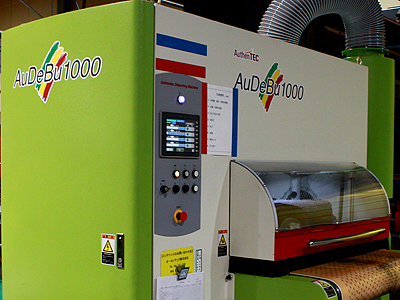 We always make all-one effort to our manufacture; Tapping and reaming of precision sheet metal are certainly not exceptions. We believe that our diligent works can satisfy the customer. We work on tapping very carefully at the specified locations according to the drawing. Reaming with high accuracy We are extremely successful at reaming processing used to adjust precision of diameter of drilled hole and straightness and also for fine finishing controlling rough surface. Our products clearly satisfy your requests. Bending is viewed as common basic processing. It thus requires accuracy and careful processing. Our bending achieves equalization of all the bending R (rate) at any points of long parts, over 2,000mm in length. 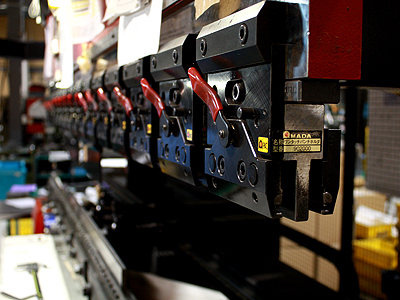 Because bending is basic processing, we do our best of it. Our skilled and accurate processing technology provides products exactly as your request. 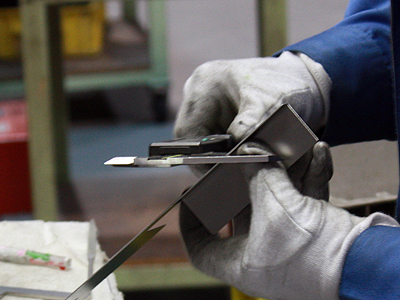 We never accomplish our works without checking after bending, in order to manufacture extremely high level products. We are equipped with a range of bending equipment - from 25t to 130t to be responsive to requests in bending various sizes and the bending rate. We induced a particular equipment to shorten the deburring process for reducing the processing time (thus reducing the cost), and to deburr while preventing scratches on the surface as much as possible. 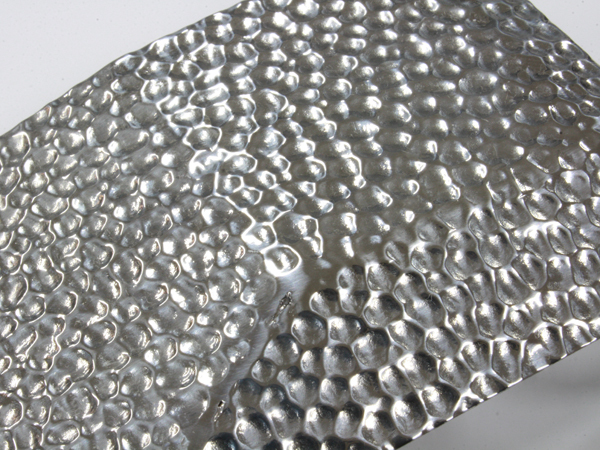 The deburring can be processed on products after all the forming processes are finished. 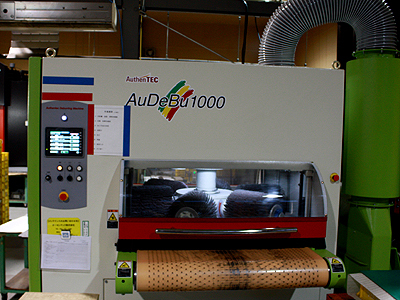 y vastly improving the processing time with AuthenTEC “AuDeBu1000” we can provide earlier delivery at a lower cost. 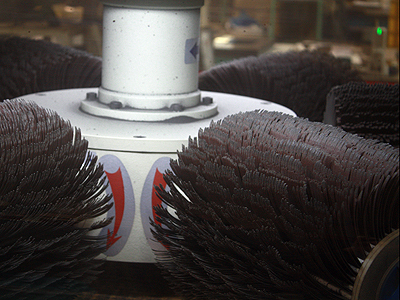 Our deburring technology provides scratch-free and careful clean deburring, even on already-formed products or parts. We, NISHIYAMA PRECISION SHEET METAL, provide welding, bending, and also assembling, for the special benefits of reducing your workload. 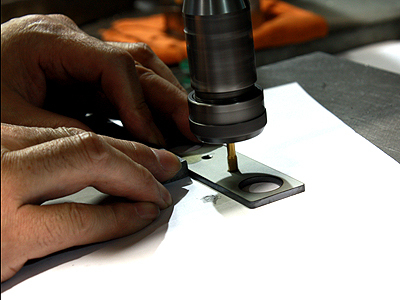 We are a one-stop manufacturer for a wide range of machining and processing. 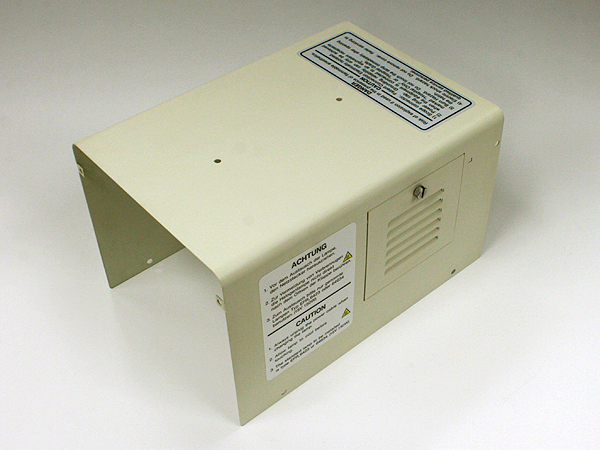 We satisfy your particular processing needs such as attaching labels. We ensure that our works will be the special benefits of reducing your workload. 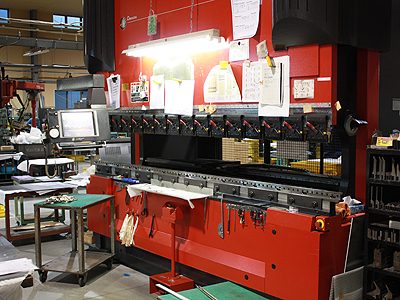 The subcontract factory of NISHIYAMA PRECISION SHEET METAL has undertaken embossing processes. We ensure that we can accommodate and offer your need as soon as you provide us with the required specification. 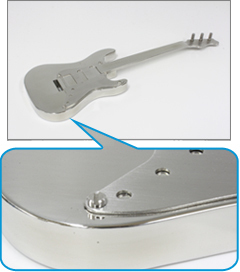 The subcontract factory of NISHIYAMA PRECISION SHEET METAL has undertaken electro deposition, various coatings and plating. We can accommodate and offer your need of surface treatment. 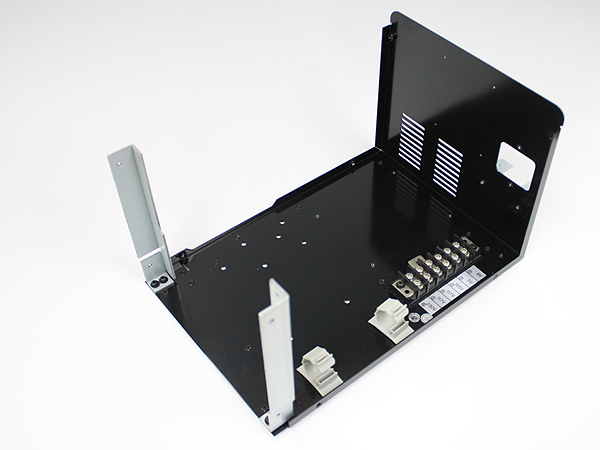 Micro parts assembly is a processing method that allows the operator to operate with a handle at hand on ultrafine parts manufactured by a micro fabrication machine, while looking through a monitor.